Uniforms – a distinctive sign of a military man. The uniforms of the soldiers of special requirements. It should not only be durable and resistant to wear, but comfortable in battle. It is this last criterion was the main reason why the armies of many countries there pants, called breeches. Breeches are a special fitting pants, tight-fitting shank and widening in the hips. The name of these pants, made in Russia, comes from the name of General Gaston Breeches, known for his cavalry exploits. 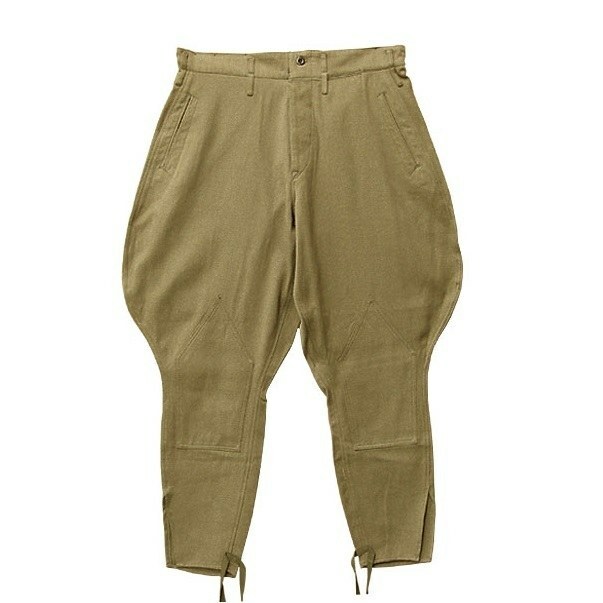 French General and introduced in the form of cavalry units of the army pants, which later were used in the armies of other countries. General Breeches was a remarkable personality. He took part in many historical events and military action. Breeches together with the French army besieging Sebastopol during the Crimean war of the mid nineteenth century. He led the fighting in Italy, Mexico and Algeria. During the war with Prussia in 1870-1871, respectively Breeches, being a Brigadier General, managed to avoid capture at Sedan, however, his military achievements were released. Distinguished Gaston Breeches and the suppression of the Paris Commune in 1871. For the cruelty and coolness in dealings with the rebels he was awarded military honors and subsequently held several high posts in the defense Ministry of France. Being a military General and a skillful cavalryman, Breeches knew what was required of the soldier in battle. That is why the General has pioneered the introduction of cavalry, comfortable trousers, called by his name. Breeches due to its special cut was ideal for cavalry. Narrowed at the bottom, these pants allow very quickly to wear high boots. Before the invention of Breeches horse riding warriors wore tight leg breeches, in form resembling a modern women's leggings. But the warrior in such attire was not too warlike, so the breeches has taken root not in all armies of the world. In the army, where soldiers wore spacious pants, had to use a not entirely comfortable boots with a very wide shaft. Initially breeches were designed exclusively for the soldiers of the cavalry units. This uniform allowed the cavalryman to feel very comfortable in the saddle and does not restrict movement in attack. The practicality of trousers, sewn in a special way, evaluated subsequently and representatives of other arms. This original clothing were worn in the infantry and other army units. Over time, the history of the emergence breeches began to acquire the details and legends. It is believed that such a kind of fit of the trousers was first used by General Breeches. During the Franco-Prussian war he was seriously wounded, with the result that he had a twisted hip. Traditional tight pants of those times for this reason, Breeches to wear he could not, so I rarely appeared in public. The General found out for themselves, inventing a special kind of pants, perfectly hid his physical handicap.